We kicked off Easter week with some egg dyeing...lots of fun, but really messy. And the results were not exactly what I had envisioned, but I still love the colors. I tried using letter stickers to create a stencil on the eggs- not totally successful, but I'm not that surprised since we winged it. What are you doing for Easter this week? 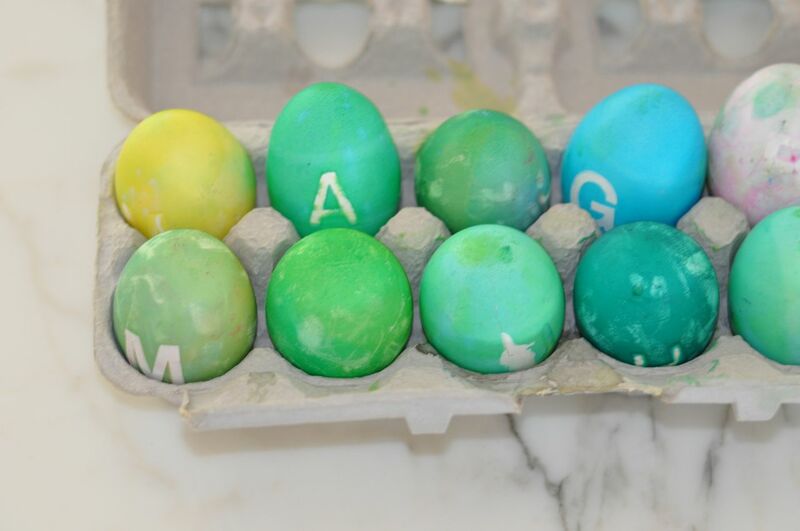 We shall be decorating eggs in some way and then rolling them down the nearest hill! I just learned a great tip from family fun magazine. 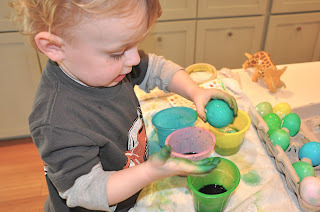 Place your eggs into a wire whisk so you have a long handle for your kids to dip into the dye.